In the summer of 1955, more than five hundred boys from cities across the Soviet Union came to audition for the State Choral College in Moscow. The college was led by prominent Russian choir conductor, and rector of the Moscow Conservatory, Alexander Sveshnikov (1890 – 1980), and this was the main reason for the high levels of competition. I was lucky enough to be among the twelve accepted at that time, after strict examination, into the famous powerhouse of choral art in Russia. The first professional choirs in Russia – Sovereign’s and the Patriarchal singing clerks – consisted entirely of men, and then later were replenished with boys, who needed a special education. Famous Russian choirs which followed – the Synodal choir in Moscow and the Court Cappella in St. Petersburg – also united performing (divine service and concert) and educational activities. This educational system for singers and chanters in Russia, developed over the course of centuries, ended in 1917 following the simultaneous disbandment of the Synodal choir and the dissolution of the Synodal school (1918). 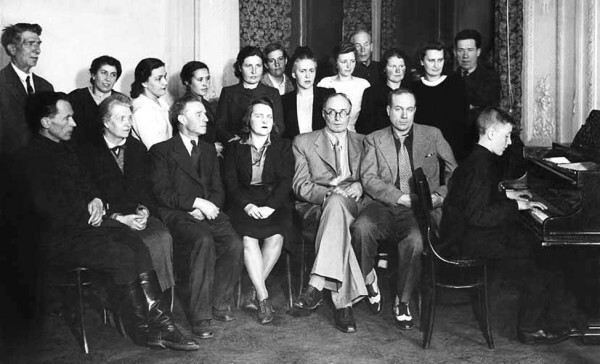 During the difficult wartime year of 1944, Alexander Sveshnikov founded the Moscow State Choir College (MSCC), which today is named after him, inviting leading professors from the Moscow conservatory to teach there along with three graduates from the Moscow Synodal school (A. Sergeev, A. Grebnev, N. Demianov). Through this he ensured the continuation of the Russian vocal-choir tradition. Sveshnikov was directly linked to the Synodal school: he was tutored by the famous chanter Nikolai Danilin, the first performer of Sergei Rachmaninoff’s All-Night Vigil, and also held a diploma, having graduated from the school as an external student. Gradually the structure of the choral college became more complicated: its scope was broadened, with a primary stage for boys aged seven years or over, so that pupils could have not only secondary musical education but also a basic education. The historic process of the growth of this unique educational institution was completed with the foundation of the Choir Art Academy in 1991, by Professor Victor Popov (1934–2008) who had graduated from MSCC, which is today named after him. The Choir Art Academy combines all-boys primary and secondary stages (a period of eleven years), as well as a higher stage (for five years) of professional education. Girls could be accepted to the higher stage as well as boys. Unlike main pre-revolutionary choirs in Russia and associated schools, the Choir Art Academy is a secular musical school. Nevertheless, its repertoire is not limited solely to secular music, but also ranges to spiritual musical classics. The choral college, and later on also the Academy, became the true source of musical manpower in Russia. 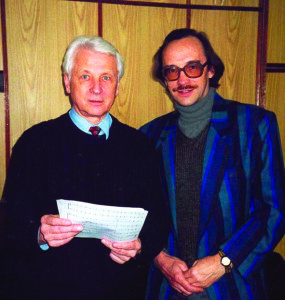 There prominent choirmasters and pedagogues studied, such as Alexander Yurlov, Vladimir Minin, Viktor Popov, Andrey Kozhevnikov and Boris Kulikov, as well as composers such as Rodion Shchedrin, Alexander Flyarkovsky, Rostislav Boyko, Vladislav Agafonnikov, Valery Kikta and Eduard Artemyev. At the Choir Art Academy, over time a very strong vocal school developed, giving the world many prominent singers, who have graced the stages of many countries. They include Dmitry Korchak, Vasily Ladyuk, Nikolai Didenko, Ekaterina Lekhan, George Vasiliev, among many others. In addition to providing a sound education, one of the basics of full training for musicians is concert activity. 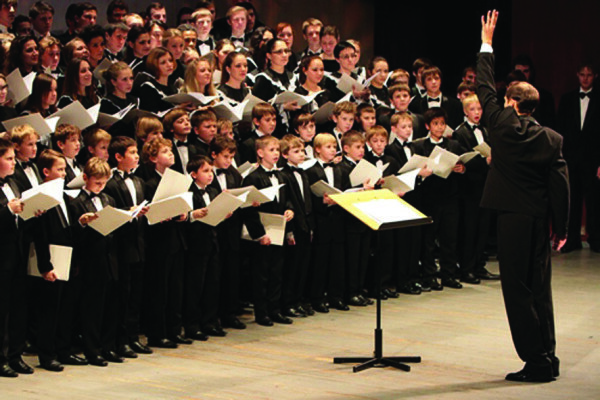 During the early years of their existence, choirs from the Academy (boys’, youth, men’s, composite, which is made up of more than two hundred singers) presented themselves as outstanding concert groups, performing extensive solo programs and participating in performances of large-scale, vocal-symphonic compositions accompanied by leading Russian and foreign orchestras. 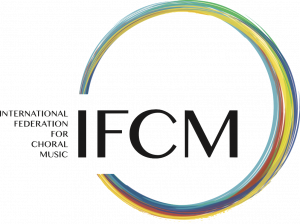 One of the leading achievements of the Academy’s choirs is their frequent participation in international musical festivals: Bregenzer Festspiele (Austria, 1995, 1996), Festival de Colmar (France, regularly, since 1998), Rheingau Musikfestival (Germany, annually since 1994), and, of course, in Moscow (Moscow Autumn, Moscow Easter Festival, Cherry-tree Forest, Mocertiana and others). Choirs from the Academy took part in a number of world premieres: the oratory The Life and Death of Jesus Christ our God by Edison Denisov in Alte Oper, Frankfurt (1994, conductor A. Katz), the chants Long life to Saint Daniel, Moscow Prince by Krzysztof Penderecki (Moscow, 1997); many times performed in Russia and abroad; Sergei Rachmaninoff’s All-Night Vigil, the Third and Eighth Symphonies by Gustav Mahler, Requiem by Giuseppe Verdi, Chichester Psalms by Leonard Bernstein, the Symphony of Psalms by Igor Stravinsky and other compositions. I am proud that during Viktor Popov’s life my compositions Liturgy and Vespers were among the premieres of the Academy choir, along with a number of choral concerts. Since the beginning of the twenty-first century, the Academy has successfully launched a number of unique creative projects: the International Festival of Children’s Choirs ‘Children of the Planet are Friends’, the Russian Festival of Boys’ Choirs, the festival ‘Young Voices of Russia’, the Moscow Competition of Choir Conductors and other significant cultural events.